Rebate kits for double doors allow a standard dead or sash mortice lock to be used on a double set of doors. External double doors such as French Doors or wooden patio doors have an overlap between the two doors to provide weather protection, this overlap gets in the way when fitting a mortice lock so a rebate kit is required to allow the door to be locked and fully secured. 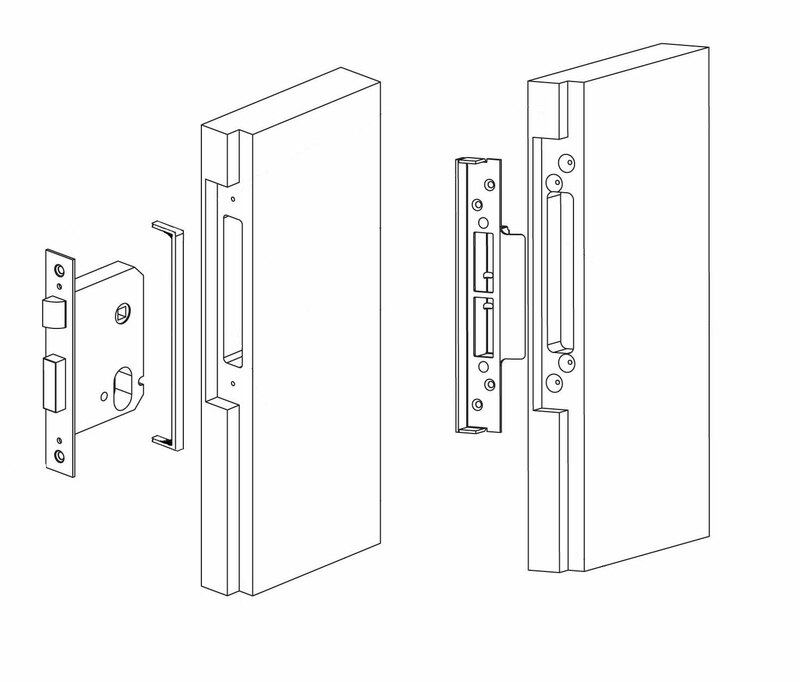 Rebate kits contain two main parts, a rebate strip that sits behind the lock faceplate and a strike plate / keep that is fitted to the second door, both these parts allow the lock to operate with a dog legged door. The diagram above shows the overlap between a set of double doors, the measurement A is the rebate kit size. Rebate kits are specific to each lock and can be purchased in a colour to match the lock forend as well. If you require any assistance with rebate kits, please do not hesitate to contact our sales team.